Hardham Ranch reservoir under construction. A lawsuit filed in 2012 provides a peek into how Justin Vineyards, a company owned by Beverly Hills billionaires Stewart and Lynda Resnick, clear cuts oak woodlands while constructing massive reservoirs that drain underground water sources in order to continue growing their agricultural empire. In 2012, Keith Garl, the owner of A-1 Tree Service of Nipomo, filed a breach of contract lawsuit in San Luis Obispo County Superior Court against Justin Vineyards and Winery. Justin Vineyards had asked Garl to remove 17,000 trees, 15,000 of which were oak trees, from a 100 acre property on Chimney Rock Road west of Paso Robles. For his work, Justin Vineyards agreed to pay Garl $200,000 and allow him to make a profit selling the wood. However, Justin Vineyards only paid Garl $60,000 and canceled the contact before Garl finished his work or sold the wood. Representatives for Justin Vineyards said the company terminated Garl’s contract because he hadn’t met a deadline to clear cut the 100 acres within 90 days. Garl said Justin Vineyards had not informed him of the deadline. In 2013, Judge Jac Crawford agreed with Garl and awarded him $444,112. Starting in 2010 with the purchase of Justin Winery, Resnick, through his wholly-owned The Wonderful Company, has been purchasing multiple acreages in the Paso Robles area. Since then, Resnick company holdings have grown to more than 1,600 acres in San Luis Obispo County. In late 2012, the Resnicks bought the 747 acre Hardham Ranch, which until then had been used for dry farming and cattle grazing. Within a short time, the Resnicks removed oak trees, planted vines and installed two large reservoirs said to hold a total of 184 acre feet of water, according to a 2013 CalCoastNews exclusive. At the same time, the neighbors wells were going dry and Resnick employees were lobbying San Luis Obispo County Supervisors to promote a proposed Paso Robles basin water district. Earlier this year, voters rejected the proposed district by a 77 percent vote. 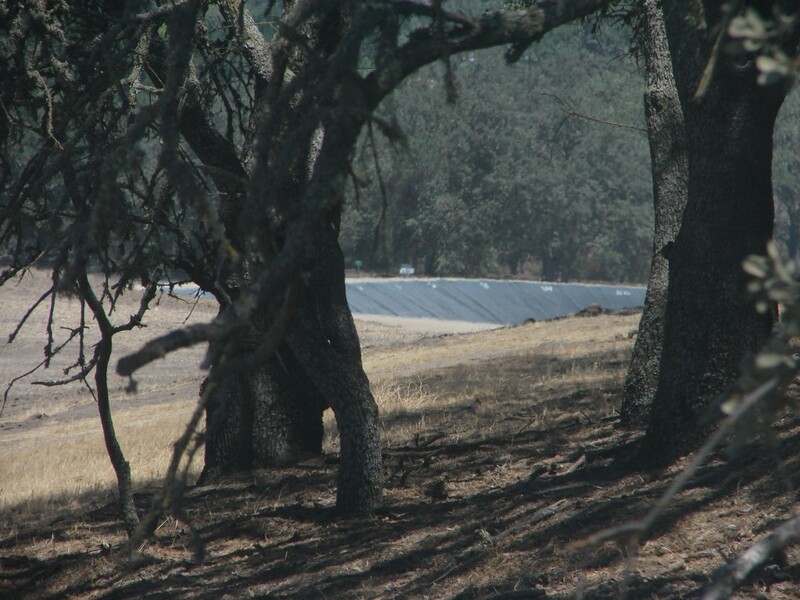 In 2016, Justin Vineyards and Winery violated San Luis Obispo County grading code when it removed thousands of oak trees from at property at 750 Sleepy Farm Road in rural Paso Robles. Workers removed the trees in preparation for planting a new vineyard that would be added to Justin Vineyards’ collection. The project also involves the construction of a 20-acre-foot water storage pond. However, following community outrage, the Resnicks apologized and offered to donate the land to the county or the Land Conservancy. On Friday, the San Luis Obispo County Board of Supervisors will discuss passing an ordinance to protect oak woodlands and to place limits on water reservoirs. Boycott Justin Vineyards and Winery. The Redneck’s need to leave the Central Coast, and, in my opinion, their wine is terrible anyways. I have it on good account that their employees are just as bad as the owners.